The House of Chanel confirms his death through an official statement on Instagram Tuesday night, February 19. 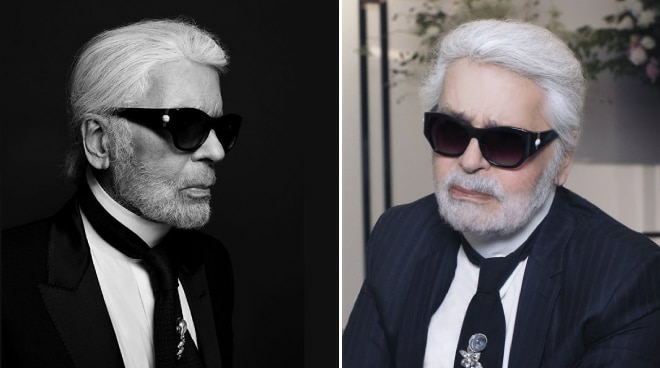 Karl Lagerfeld, German fashion designer and creative director of luxe fashion brand Chanel, has passed away at age 85. The House of Chanel confirmed his death through an official statement on Instagram Tuesday night, February 19. “It is with deep sadness that the House of CHANEL announces the passing of Karl Lagerfeld, the Creative Director for the CHANEL Fashion House since 1983,” they wrote. ”A prolific creative mind with endless imagination, Karl Lagerfeld explored many artistic horizons, including photography and short films. The House of CHANEL benefited from his talent for all the branding campaigns related to Fashion since 1987,” they added. Reports stated that prior to his death, Karl was admitted to the American Hospital of Paris on Monday, February 18. This comes after the fashion icon’s controversial absence at the end of Chanel’s show at Paris Fashion Week in January, where thousands of fans expressed their concerns regarding his health condition. Apart from Chanel, Karl‘s body of work includes other high-end fashion names, namely Chloe and Fendi, which dates back to 1964, a few years after he left his home country and moved to Paris, where he would soon establish connections with iconic designers Yves Saint Laurent and Pierre Balmain. Meanwhile, dozens of Hollywood big names are mourning the loss of the fashion legend, particularly those whose lives he touched during his lifetime. Virginie Viard, current Director of Chanel’s Fashion Creation Studio and who has worked closely with Karl for the past three decades and so, is confirmed as successor of the late designer as the brand’s new creative director.